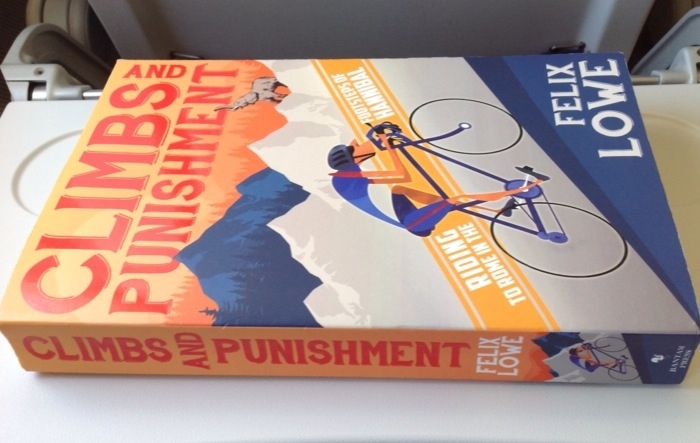 Last year reporter, blogger and Twitter pundit Felix Lowe rode from Barcelona to Rome as part of a cycling tour designed to copy Hannibal’s attempted march to Rome and he’s now telling the tale in print. I wasn’t sure about reviewing this because it sounded more like a write-up of Lowe’s holiday, the literary equivalent of a two hour slideshow of someone else’s holiday photos. “Here’s me in the Pyrenees, here’s me on Mont Ventoux” and so on. But it’s good be proven wrong. There is recounting of the ride, notably a double-ascension of Alpe d’Huez via the Col de Sarenne, replicating the 2013 Tour de France stage. Only it’s got gems, for example amid the hairpins of Alpe D’Huez is an exploration the origins of “Dutch corner” on the climb via a Dutch priest. Barcelona to Rome isn’t a novel route and Lowe’s group take their time. This only makes things better for the book. While his senior travel companions toddle along a sometimes frustrated Lowe heads for an extra mountain pass or too. Don’t expect SRM data and performance analysis, his eyes are open for curiosities. There’s more to the book than the ride and witty wordage. Locations along the way are used to as junctions to veer off into new subjects. The Hannibal theme is repeated but it’s intermittent, instead of lectures on Roman history there are anecdotes on elephant warfare or tribal ambushes. As a Eurosport blogger he’s also thinking about racie history along the way, whether immediate topics such as Chris Horner’s Vuelta win or older themes from the past whether Fausto Coppi or a particular climb. Several books in one. Primarily a bicycling travelogue, it also explores history from Hannibal in the Alps to Chris Horner in the Pyrenees. It’s amusing and readable. You won’t learn many cycling tips but you will laugh and maybe wince as Lowe laughs his way around the Mediterranean, skewering colleagues but all with enthusiasm. Note: this book was sent free for review. For more book reviews see inrng.com/books. Clearly, everyone is too overcome by joy or sorrow over the caps to comment on today’s blog. For the record, I thought the self-defecation bit was lovely, too. Oh, and the book sounds like a lot of fun! Unless you’re Terry, of course.